Styled with shirt dress . The colors are perfect. It will go with almost anything. Plan on going back for more. Thank you Aritzia. THE BEST TO TRAVEL WITH! This scarf (I have a few in different colours) is the BEST scarf I have ever owned. I've traveled to Europe with them twice now and every time I say to myself: thank goodness I brought my wool Aritzia scarves. They have saved me from cool airplanes, and cold alleys all over Germany, France and Italy. Love, love, love them! Good quality. Versatile. Goes with everything. Perfect triangle scarf. Just the right weight. Not itchy. Very warm. Omg. I fell in love with these scarfs and fabric. I bought different colors because of it. Super cute and chic also very warm. Definitely worth the price. 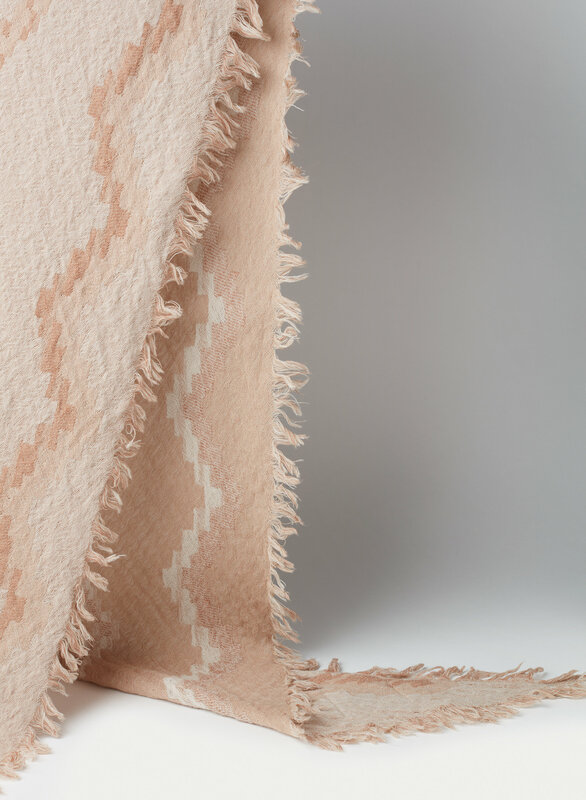 Beautiful quality, warm + stylish. Can be worn with any outfit. Favourite scarf. I love these scarves so much. Super cosy and comfortable for fall or winter. The only negative is how quickly they end up pilling. They are really nice scarves though! Just remember not to put them in the wash machine. I thought nit was a bit big but it’s very small , I recommend it only for kids ..
Love the Blanket Scarves, but this one is easier to wear with so many things. Love them. Have a few now !! I chose the peniche pattern. I love the colour, the fabric is fabulous, and it’s not itchy. 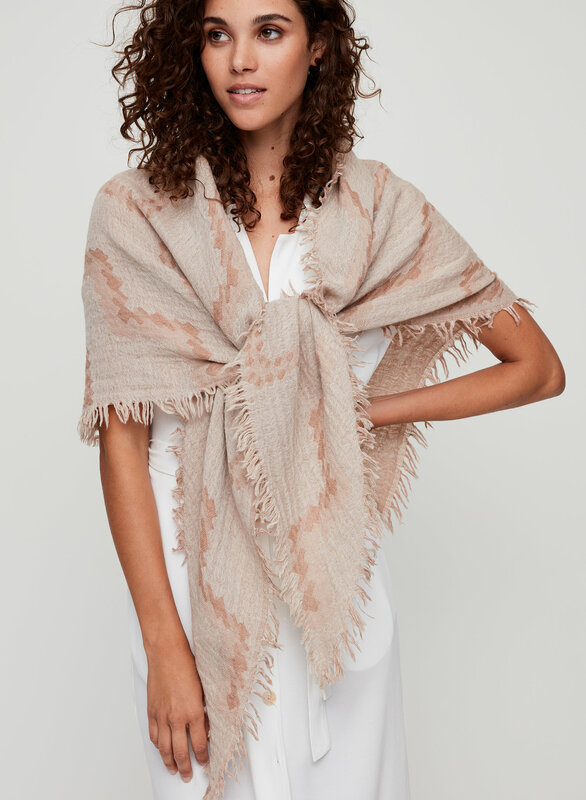 I have a blanket scarf from aritzia already, so I wanted something with less material. I’m happy with this purchase. This scarf is is amazing, I usually look weird is scarfs cause they’re so big but the triangle scarf is the perfect size. 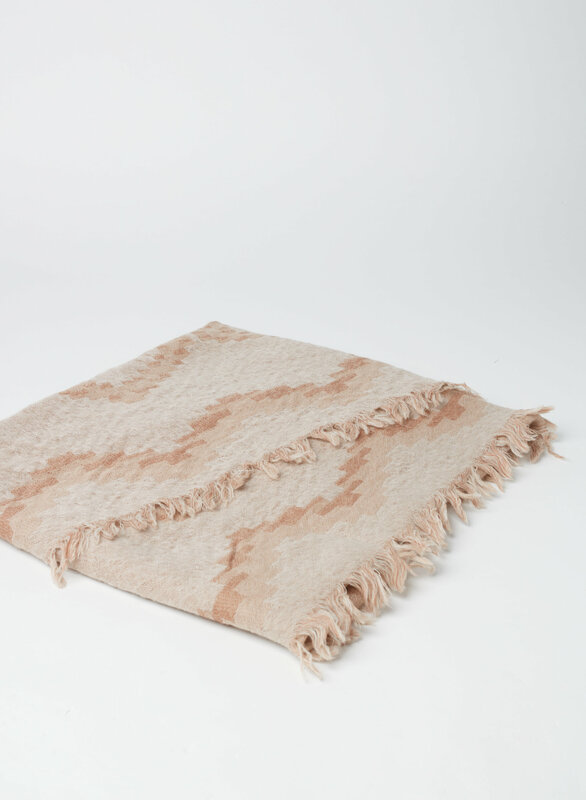 Very warm and cozy and looks great with any jacket! Just the right size and super warm. I love it! 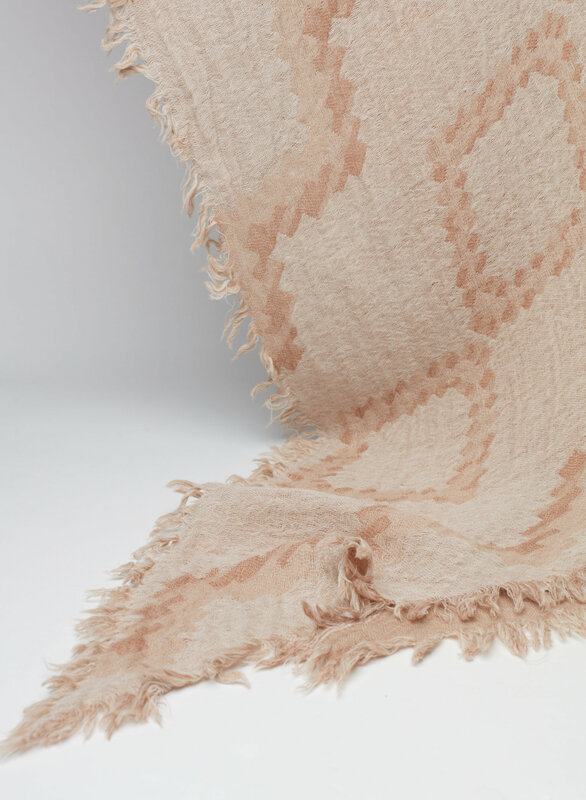 I love how you can dress up or dress down an outfit with this fashionable scarf while still staying warm. Can wear multiple different ways and the colours are amazing. I own two now!!! This was a gift for my daughter who is quite petite so the triangle shape has less volume and is perfect for her. I got this as a Christmas gift and it's so much nicer than the cheap acrylic scarves that I own. 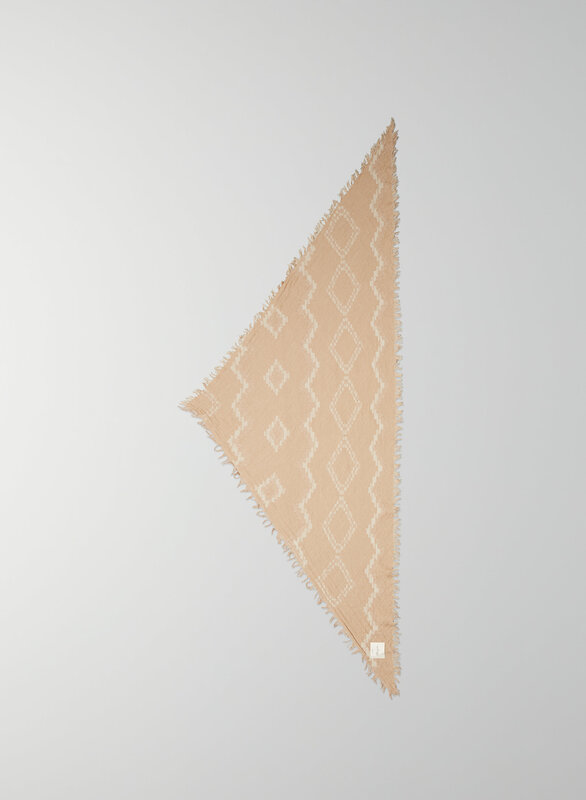 I like how the triangle Diamond Mosaic scarf does not have an overwhelming amount of extra fabric, so it's easy to style. The Balsamine colour is exactly as shown. Beautiful quality and fit. I have received several compliments on this scarf and it is very warm. 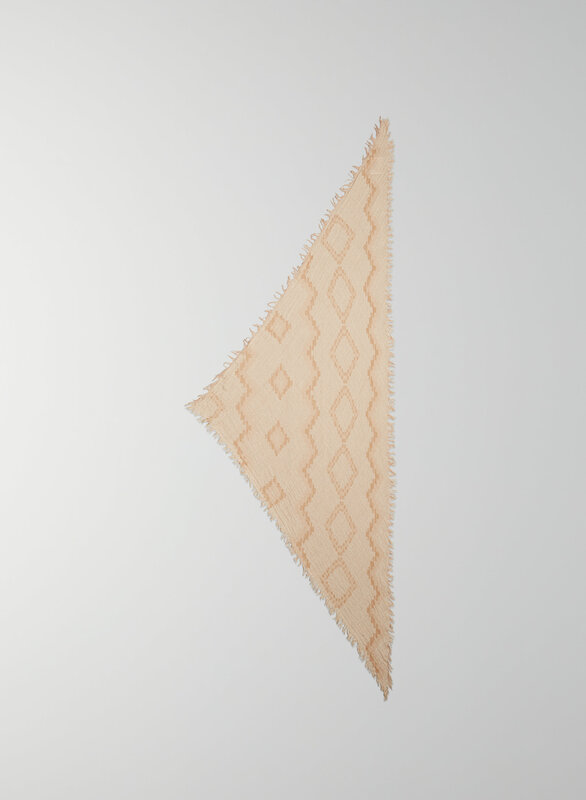 My “go to scarf” is the Mosaic Diamond Ttiangle! I have many in different colours and wear them all the time. It’s the perfect size and style. The warmth is very comforting on cold days. Love the size and feel of this scarf. The pattern is also very eye catching! Love! P.S. Please bring in silk! I love these scarves!! I have the mosaic triangle in so many colours, it's just so easy to wear and looks flawless! I wish these would come in silk, I would love to use these in the summer time when the weather is warmer, or even as head wraps if they were in silk, I think it would be gorgeous. My second such scarf and I love everything about it. Not pinchy and looks great with different outfits. Very stylish. Looks great with. A coat and just a sweater. Absolutely love it! Fits perfect and love every item I order from aritzia. The only website that I don’t mind paying shipping prices for because their shipping is SUPER FAST (all my orders come within 2 days) with regular shipping.